A special evening of books and music. Best selling novelist Patrick Gale will join us to talk about his latest novel, Take Nothing With You and will perform with the Bookshop Band, who return to the Festival for the third time. In his book, Eustace is transported back to his childhood whilst he undergoes treatment in hospital listening to hours of cello music. It is based on his own experiences when he studied at the International Cello Centre during school holidays. 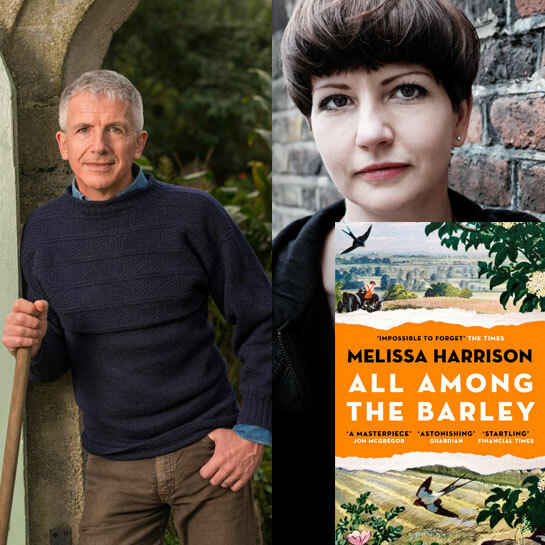 They will be joined by Costa Prize and the Women’s Prize nominee, Melissa Harrison whose writing and novels capture the amazing beauty of our natural world. She will talk to Patrick about her latest novel, All Among the Barley.